Mary Laschinger is Chairman of the Board and Chief Executive Officer of Veritiv Corporation (NYSE: VRTV). Based in Atlanta, GA, Veritiv is a Fortune 500® company and a leading North American business-to-business distribution solutions company. 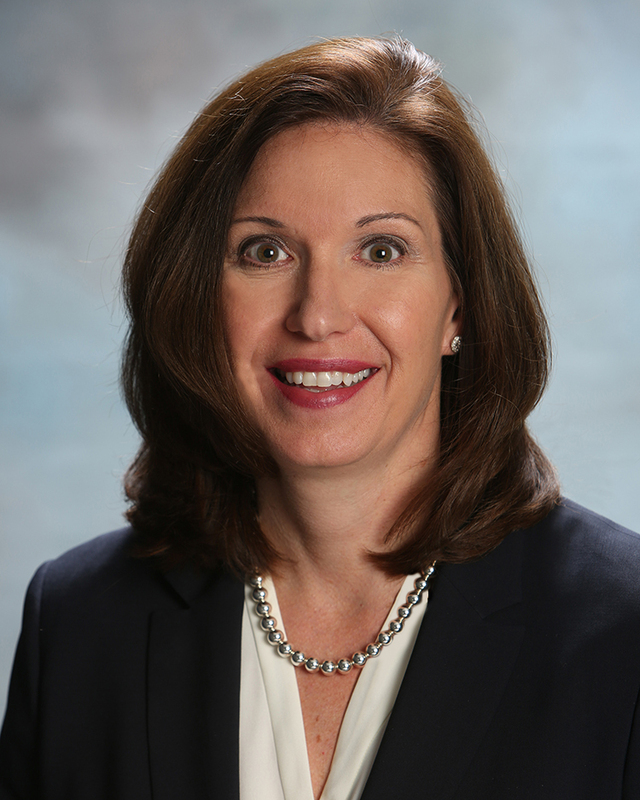 Previously, Ms. Laschinger served as Senior Vice President of International Paper Company from 2007 to June 2014, and as President of the xpedx distribution business from January 2010 to June 2014. 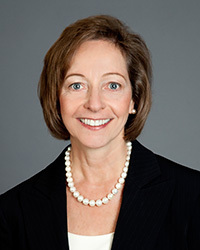 Ms. Laschinger also served as President of the Europe, Middle East, Africa, and Russia business at International Paper; Vice President and General Manager of International Paper’s Wood Products and Pulp businesses, as well as in other senior management roles in sales, marketing, manufacturing, and supply chain at International Paper. Prior to joining International Paper in 1992, Ms. Laschinger held various positions in sales, marketing, and supply chain at James River Corporation and Kimberly-Clark Corporation. Ms. Laschinger is a member of the Board of Directors of the Federal Reserve Bank of Atlanta, where she chairs the Audit Committee. Ms. Laschinger is also a member of the Board of Directors for Kellogg Company, where she chairs the Compensation & Talent Management Committee and serves on the Executive and Nominating & Governance Committees. She is a former lead Director of Ilim Group, Russia’s largest pulp and paper company. Ms. Laschinger is a recipient of the University of Wisconsin – Eau Claire Alumni Association’s President’s Award. She was inducted into the 2018 YWCA Academy of Women Achievers, and was recognized by the University of Connecticut School of Business as a Distinguished Alumni in 2019. Ms. Laschinger holds a bachelor’s degree in business from the University of Wisconsin and an MBA from the University of Connecticut. Ms. Laschinger has also completed postgraduate studies in executive management at the Kellogg School of Management at Northwestern University. Steve has been with Veritiv since March 2014. Previously, he served as Senior Vice President and Chief Financial Officer of American Greetings Corporation, a global greeting card company, from November 2006 to March 2014. Prior to that, Steve served as Vice President of Investor Relations and Treasurer of American Greetings from April 2003 to November 2006. 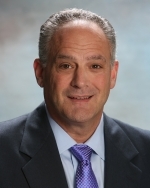 Prior to American Greetings, Steve served as Vice President and Treasurer of General Cable Corporation, a global wire and cable manufacturer and distributor, and Vice President, Treasurer and Assistant Secretary of Insilco Holding Company, a telecommunications and electrical component products manufacturer. He is also a member of the Board of Directors for Junior Achievement of Georgia. Steve holds a bachelor’s degree from the University of Notre Dame and an MBA from the University of Texas at Austin. 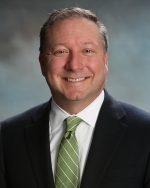 Sal serves as Senior Vice President and Chief Commercial Officer for Veritiv. 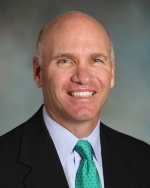 He joined Veritiv in April 2018 from Andersen Windows & Doors, Inc. where he was Senior Vice President/Chief Sales & Marketing Officer responsible for marketing, sales, product development, customer service, logistics and field service organizations. Prior to that, he was Vice President – Global Sales and Marketing for the Performance Films Division of Solutia, Inc. He has more than 25 years of experience in a variety of leadership roles in marketing, sales, distribution, customer service, logistics and process improvement. He also spent more than 15 years in various roles in sales, marketing, field operations, manufacturing, and process improvement for several divisions of Armstrong. Sal has an MBA from Northwestern University, and a Bachelor of Industrial Engineering from the Georgia Institute of Technology. 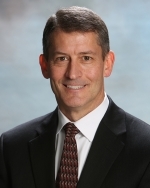 Dean serves as Senior Vice President and Chief Human Resources Officer for Veritiv. In this role, he is responsible for the company’s HR strategies, policies and initiatives, and oversight of Corporate Communications. Prior to joining Veritiv in March 2019, Dean was Chief Human Resources Officer at Caraustar, an Atlanta-based manufacturer of recycled materials. Previously, he was Chief Human Resources Officer and Senior Vice President – Human Resources for Axiall Corporation, a chemical and building products manufacturer. Prior to that, he was Senior Vice President, Human Resources and Chief Administrative Officer for BlueLinx Corporation, a North American building products distributor. Dean also held Human Resources leadership positions at Corrections Corporation of America and Arby’s Restaurant Group. He began his career as a lawyer, and spent seven years as Senior Counsel – Employment/HR for Georgia- Pacific Corporation. Dean holds a bachelor’s degree from the University of Georgia, a Juris Doctor from the University of Georgia School of Law, and a MBA from Northwestern University’s Kellogg School of Management. John served as Regional Vice President – North Region for Veritiv, from July 2014 until being named to his current role in December 2015. He has more than 25 years of experience in the distribution industry. John began his career in 1987 as a sales trainee at a Unisource predecessor company and progressed to sales management before being promoted to a division manager, where he was responsible for several divisions. He then joined xpedx in 1999 and served as a division manager in Philadelphia and Harrisburg. John was promoted to Group Vice President, and in 2011, joined the xpedx corporate team in Loveland as Executive Vice President for Operations and Supply Chain. He also served as Area Executive Vice President of xpedx’s Central Region prior to the merger. John earned a bachelor's degree in business administration from Alvernia University in Reading, Pa.
Bruce served as Vice President, Strategy Management and Integration of xpedx and as a member of the xpedx Senior Lead Team from March 2013 to June 2014. Prior to that, he served as Director of the xpedx Strategy Management Office from August 2010 to March 2013. Prior to that, he served as a Director in International Paper’s Supply Chain Project Management Office. Bruce joined International Paper in 1986 and served in a variety of supply chain, sales and general management roles within International Paper’s Program Management Office, Printing and Communications Papers business and Global Supply Chain operations. 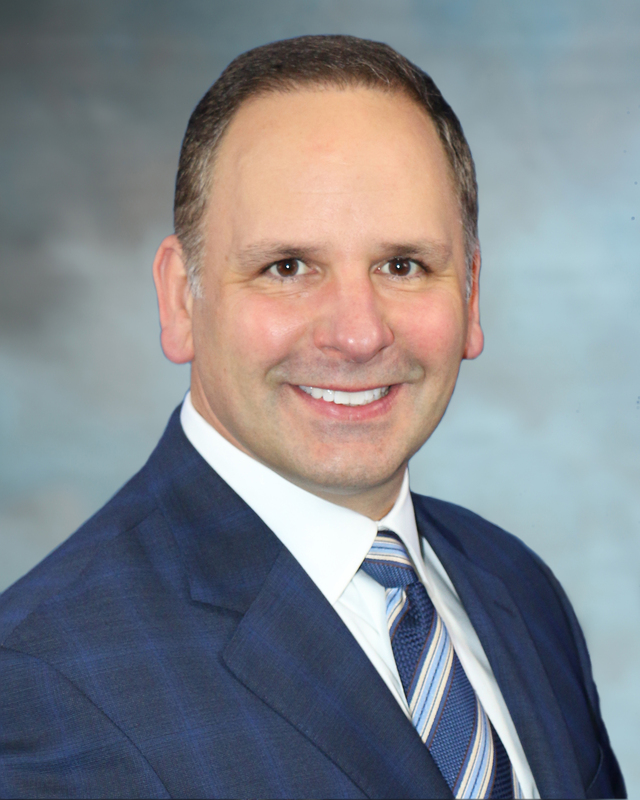 Bruce holds a bachelor’s degree in business logistics from Pennsylvania State University and an MBA from the University of Connecticut. Mark joined Veritiv in January 2014. 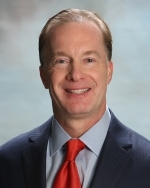 Previously, Mark served as Senior Vice President, General Counsel and Chief Administrative Officer for Dex One Corporation, an advertising and marketing services company, from March 2012 to May 2013. Prior to that, Mark served as Senior Vice President, General Counsel and Corporate Secretary for Dex One (and its predecessor, R.H. Donnelley Corporation) from April 2008 to March 2012. Mark previously served as Vice President and Assistant General Counsel for Tribune Company, a diversified media company, and as a corporate and securities partner for Wildman, Harrold, Allen & Dixon. 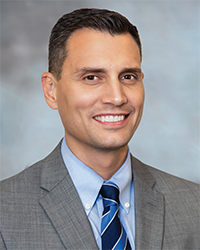 A former practicing CPA, Mark started his professional career as an auditor with ArthurAndersen & Co..
Mark holds a bachelor’s degree in accounting from the University of Illinois and earned his law degree from Loyola University of Chicago School of Law. Tom has served Veritiv as Senior Vice President, Sales since February 2019 with responsibility for the entire U.S. Packaging and Facility Solutions Sales Force including the National Account, Sales Specialist, Customer Service and Sales Support teams. Previously, he served as Senior Vice President, Field Sales and Operations from July 2014 to February 2019. This role included leading the Supply Chain, Logistics, Safety and Replenishment functions in addition to Field Sales for 23 territories across the U.S. and Canada. Tom previously served as Executive Vice President, Supply Chain for xpedx from March 2013 to June 2014. In this position, he led the procurement, operations, inventory management, customer service, pricing and e-commerce functions. 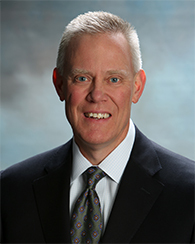 Tom joined xpedx in January 2011 as Executive Vice President and Chief Procurement Officer, responsible for all aspects of the purchasing organization. Prior to xpedx, Tom was a senior executive with HD Supply, The Home Depot and General Electric. He holds an MBA from Rensselaer Polytechnic Institute and a bachelor’s degree in Political Science from Colgate University. With Supply Chain Operations, Tracy leads the Veritiv team to protect customers’ brands from the first mile to the final mile. She oversees 160 distribution centers in North America which include approximately 18 million square feet of space, and the Veritiv private fleet of 900 trucks. Tracy, most recently, was Senior Vice President of Packaging for Veritiv from October 2016 to February 2019 where she was responsible for the company’s $3.5 billion Packaging segment. She joined Veritiv in October 2016 from International Paper, where served as Vice President and General Manager, South Area, Container the Americas. In this role, she managed the company’s 49 corrugating facilities in the Southern U.S., Mexico and Chile, a $3 billion business. Previously, Tracy served in various management roles at International Paper, including Vice President and General Manager, Foodservice; Region General Manager for Container and Vice President and General Manager of the Central Area for Container in the company’s International Packaging business; and Market Manager for Printing Bristols for the Printing and Communication Papers business. Tracy began her career with Akrosil, a former business of International Paper, where she held various roles in product development, process engineering, supply chain and sales. Tracy holds a bachelor’s degree in electrical engineering from the University of Minnesota. As Vice President – Developing Businesses, Mike is responsible for leading the company’s Services businesses, which include package design, kitting, equipment services, global sourcing, and Veritiv Logistics Solutions, as well as Veritiv Mexico and All American Containers. Mike and his team are focused on developing and implementing strategies to further grow the profitability of these businesses while supporting the continued growth of Veritiv’s core Packaging business. 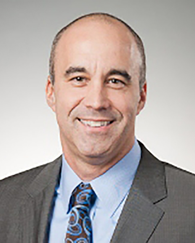 Mike previously served as Managing Director for All American Containers, a Veritiv company, from September 2017 to February 2019. During that time, Mike led the integration efforts of the acquisition. Prior to that, he was General Manager for Veritiv’s West Central Territory from July 2014 to August 2017 where he was responsible for sales and supply chain operations for the company’s Print, Packaging and Facility Solutions businesses. Mike joined xpedx, a legacy Veritiv company, in 2003 as a Sales Professional. Over the past 15 years, he has held a variety of positions in Sales and Sales Management. Mike received his bachelor’s degree in business management and an MBA from the University of Utah. Dan leads the company’s Print Segment. Prior to joining Veritiv, Dan was Executive Vice President Sales for xpedx and a member of the xpedx Senior Lead Team from January 2011 to June 2014. In this role, Dan was responsible for sales effectiveness and revenue growth for the Print, Packaging, and Facility Solutions segments. Previously, Dan served as Group Vice President for the xpedx Metro New York Group from January 2008 to January 2011 and as Vice President National Accounts for xpedx. Dan joined International Paper in 1989 as a sales trainee for Nationwide Papers, which later became part of xpedx. Dan received his bachelor’s degree in Business Administration from Wilmington College and an MBA from the University of Michigan.